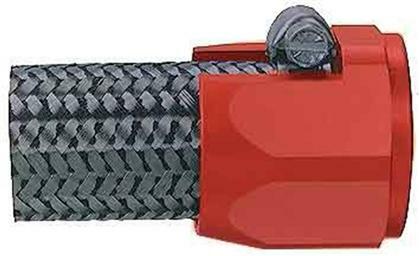 FBM1004 - Aeroquip Pro Clamp Hose Connector - Dezod Motorsports Inc - Home of the automotive performance enthusiast since 2002. PRO CLAMP connectors are made of red anodized aluminum to give your band clamp connections a professional look. 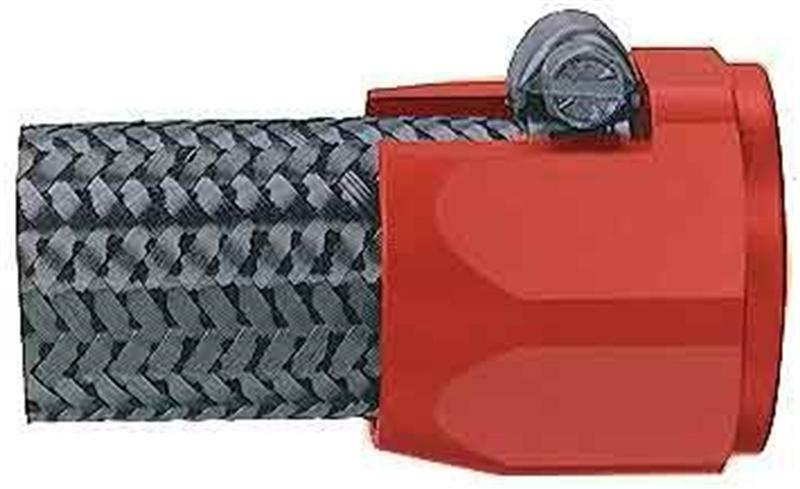 The PRO CLAMP connector can be used on any rubber or stainless steel braid hose. PRO CLAMP connectors should not be used on brake lines, air conditioning, power steering or other high pressure lines. PRO CLAMP connectors come complete with a quality band clamp.